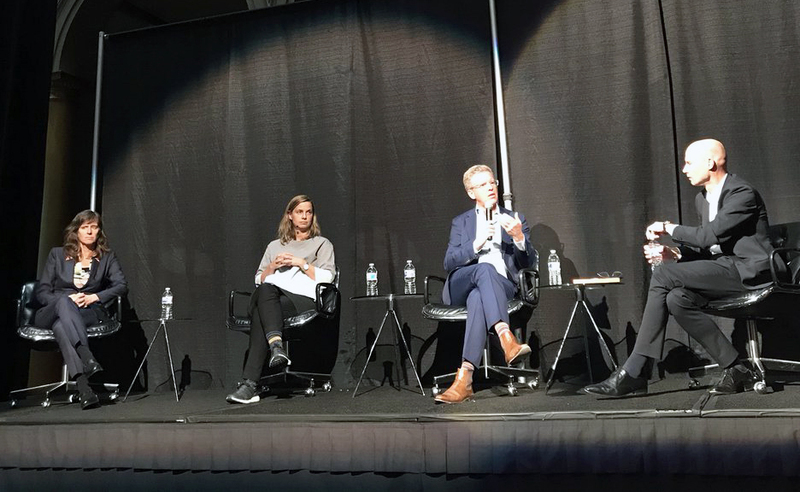 Shaun Donovan, former Secretary of the US Department of Housing and Urban Development, makes a point during the panel with (from left) Dawn Zimmer, former Mayor of Hoboken, New Jersey; Kate Orff, founder of SCAPE, a landscape architecture and urban design studio; and Henk Ovink, the Netherlands special envoy for international water affairs for the Kingdom of the Netherlands. The importance of cooperation in the field of water management, both for the benefit of people and fish, took center stage at two events involving the Embassy of the Kingdom of the Netherlands earlier this month. The first event was a November 19 mini-symposium about nations cooperating with each other to enable fish to migrate in the rivers that cross borders. 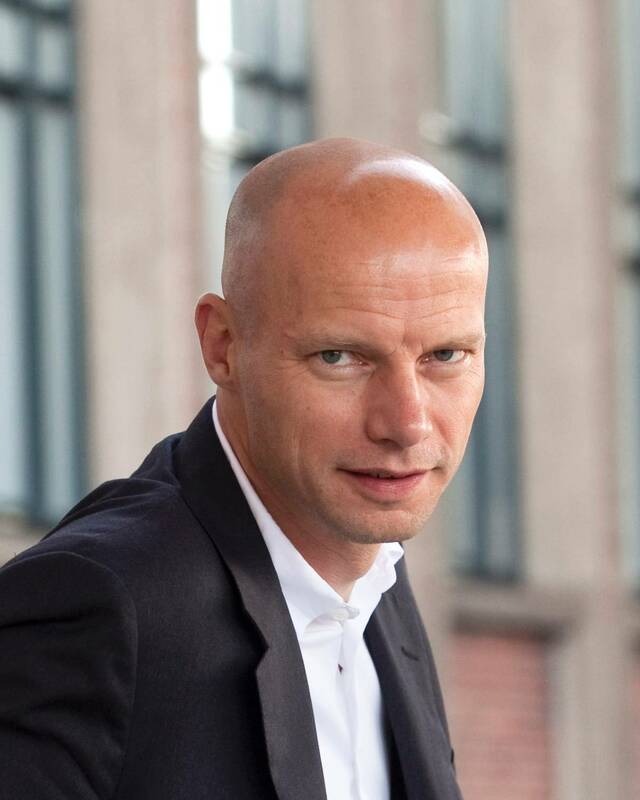 Later that evening, cooperation in water management was discussed during a lecture and panel discussion, led by Henk Ovink, the Netherlands’ special envoy for international water affairs. The Netherlands Embassy and the World Fish Migration Foundation hosted the fish-migration symposium, “Swimways and Water Management in the 21st Century,” at the embassy. 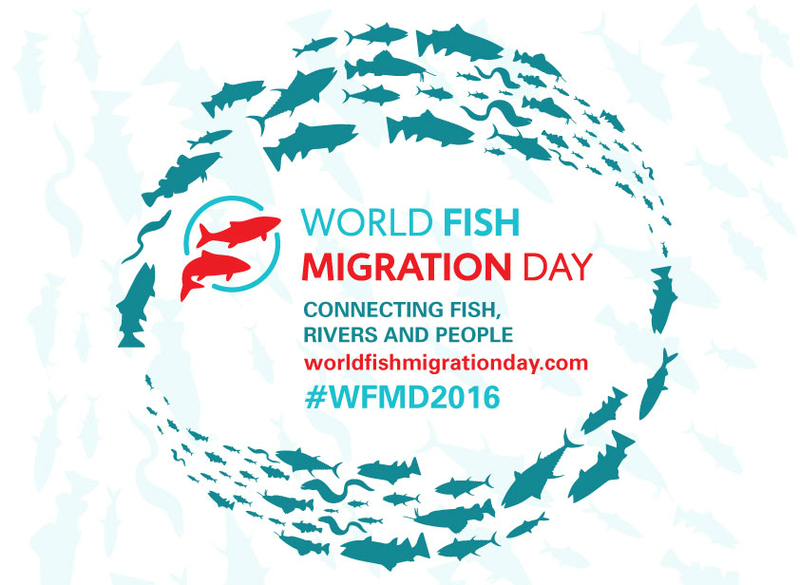 The symposium was organized in advance of World Fish Migration Day, which takes place on May 16, 2020. The aim of the symposium was to talk about the need to remove or re-engineer dams to re-connect rivers so fish could migrate and spawn to repopulate their species. Dicussions highlighting the need to cooperate continued later that evening during a lecture and a panel discussion at the National Building Museum in Washington, D.C.
Henk Ovink, the Netherlands special envoy for international water affairs for the Kingdom of the Netherlands, delivered the lecture about his book, “Too Big,” which details his role in the Rebuild by Design project. 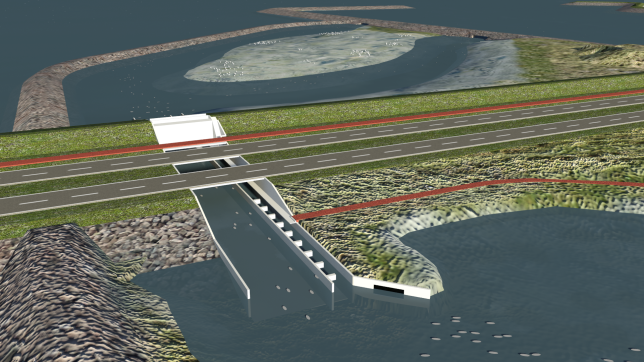 The Netherlands and the United States work together on climate change and water management. Climate change goes hand in hand with flood prevention, and both countries actively exchange expertise on how to properly manage water for protection, taking into account the impact of a changing climate. 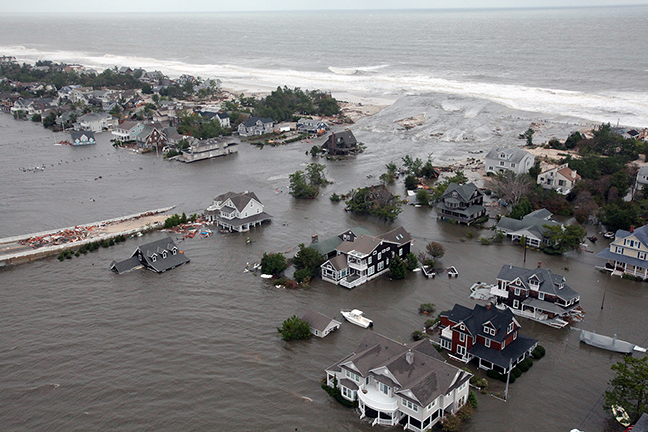 In 2012, Hurricane Sandy, one of the deadliest hurricanes in the history of the United States, struck the East Coast and resulted in more than 200 fatalities and $70 billion in damage. Ovink wrote “Too Big” with Jelte Boeijenga detailing the inside story of the American federal response to Hurricane Sandy. After Ovink’s lecture, Shaun Donovan, former Secretary of the US Department of Housing and Urban Development; Kate Orff, founder of SCAPE, a landscape architecture and urban design studio; and Dawn Zimmer, former Mayor of Hoboken, New Jersey, discussed with Ovink the impact of Hurricane Sandy and how it led to the Rebuild by Design initiative. Hurricane Sandy was the starting point for the cooperation between Ovink and his counterparts in the United States. Hurricane Sandy hit Hoboken hard. Dawn Zimmer, who was mayor of Hoboken at the time, said she never wants her city to experience flooding again as it did with Hurricane Sandy. Rebuild by Design had a positive influence on the city. “Rebuild by Design and the vision of Henk Ovink and Shaun Donovan helped us to turn a crisis into an opportunity,” she said.